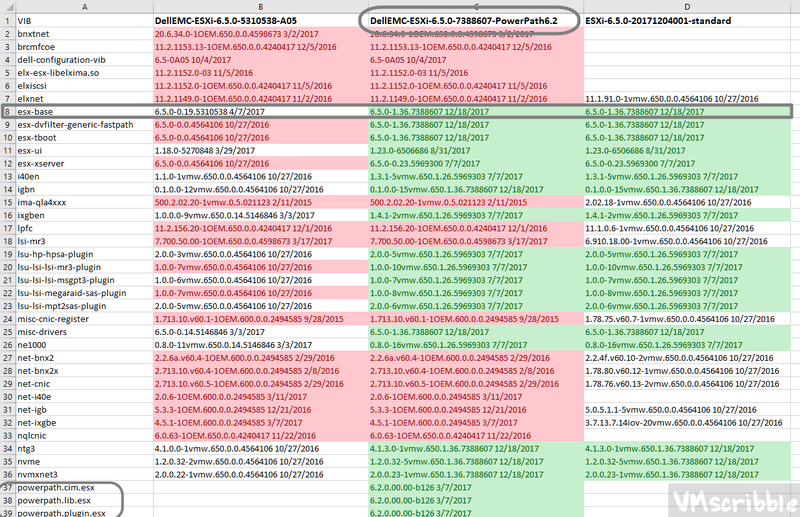 NOTE – Please review the CSV output from esxi-image-comparator.ps1 for a list a VIBS that the latest ESXi image overwrote from the older Dell ESXi image. Example network drivers. You still have to deploy new ESXi 6.5 hosts and rather not have 2 reboots via VUM for the lastest ESXi build and to install PowerPath. If you do not want to login to my vmware, download https://www.v-front.de/p/esxi-customizer-ps.html#download to download the lastest 6.5 build. Place all 4 files into the same folder. Clone the Dell image. “DellEMC-ESXi-6.5.0-7388607-PowerPath6.2” can be called anything. 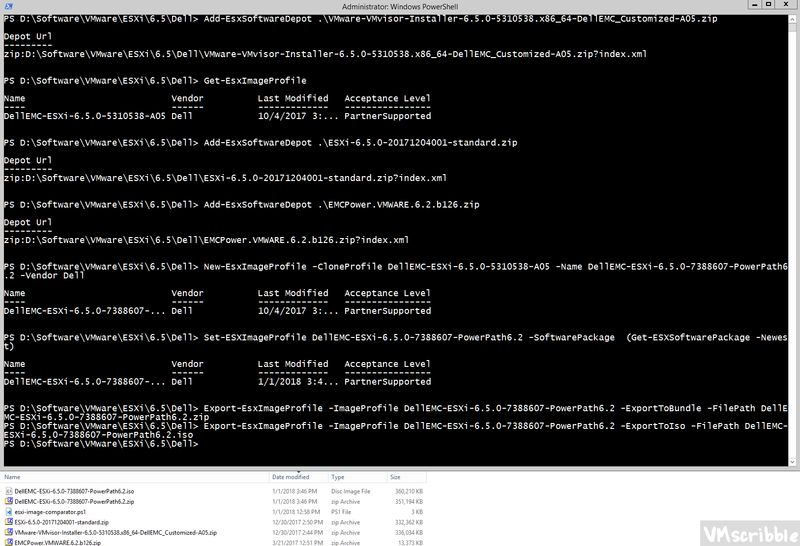 Add the new vibs from vmware and powerpath. Create the image (used for validation) and ISO. 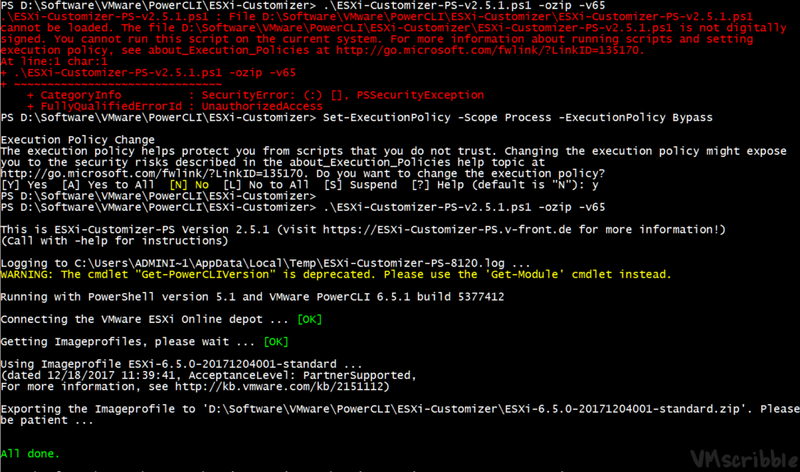 Exit PowerShell. Open a new PowerShell window. Use Excels conditional formatting highlighter for duplicate values for columns B+C and again for C+D in a different color. After the install from the new ISO; login to the ESXi host html5 client https://fqdn/ui to validate the build # and the powerpath vibs. I am using the dark reader chrome extension for the black background.